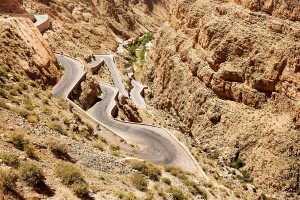 As an exotic getaway to Africa, Morocco is sometimes anarchic but always awe-inspiring. 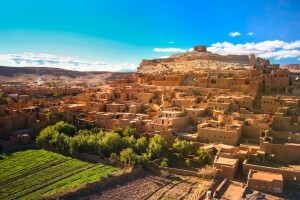 From never-ending Saharan dunes to the peaks of the High Atlas Mountains, from richly colorful markets to historically prosperous medinas, Morocco is both intoxicating and overly unique. 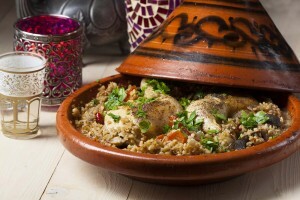 or learn to make traditional tagine in a private setting. 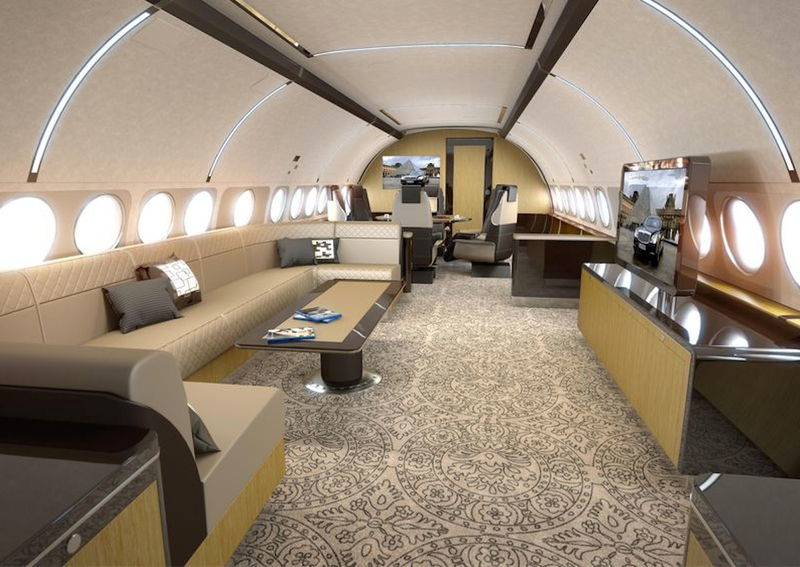 As you dream of a nomadic way of life, Presidential Private Jet Vacations invites you to take a jaunt across the Atlantic Ocean to discover Morocco’s spices, souks and Berber villages. 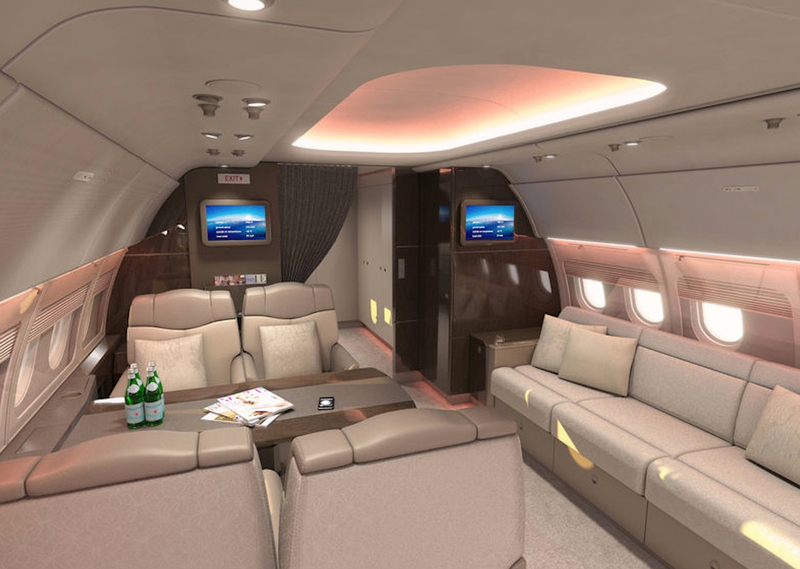 Pretend you are a nomad in search of that perfect oasis on your next private jet vacation. 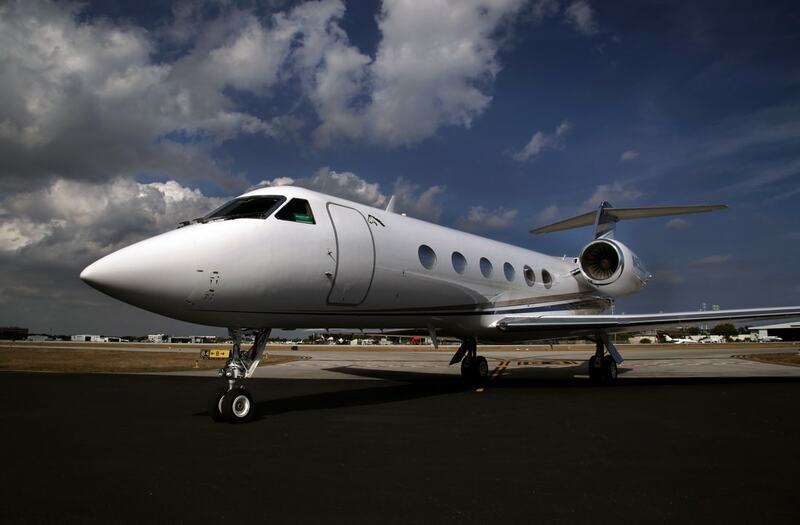 After a peaceful overnight flight in a luxurious Gulfstream G-IV, wake up feeling refreshed in lively Fès. Greeted with a selection of fruits and Moroccan sweets, let yourself succumb to the convivial Moroccan hospitality and charm of your host. 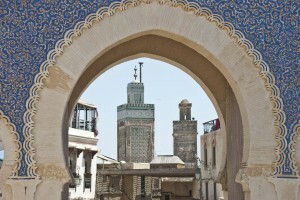 Step back in medieval times with a stroll through the cobbled streets of the medina of Fès. 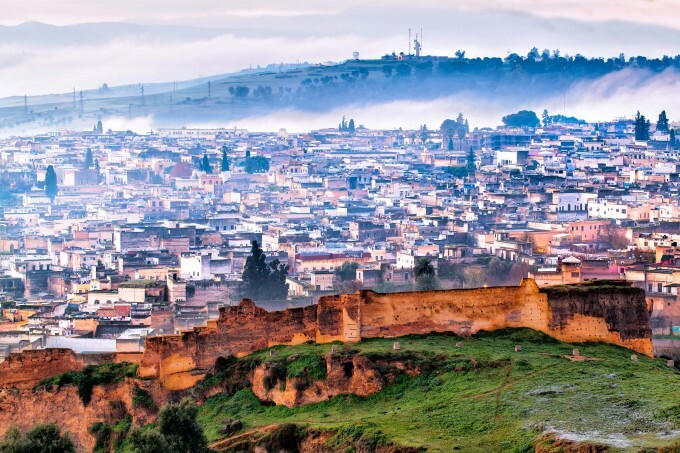 Notice the ancient mosques, towering green-glazed minarets and crumbling fondouks (hostels for travelers and their animals) that make up the city’s historical charisma. Enjoy a classic Moroccan affair with a twist in the ‘ruined garden’ of a recently restored historic private house. Entertainment will be provided by a Gnawa music troupe so grab a drum to follow the beats of this hypnotic music rooted in sub-Saharan African sufi tradition. 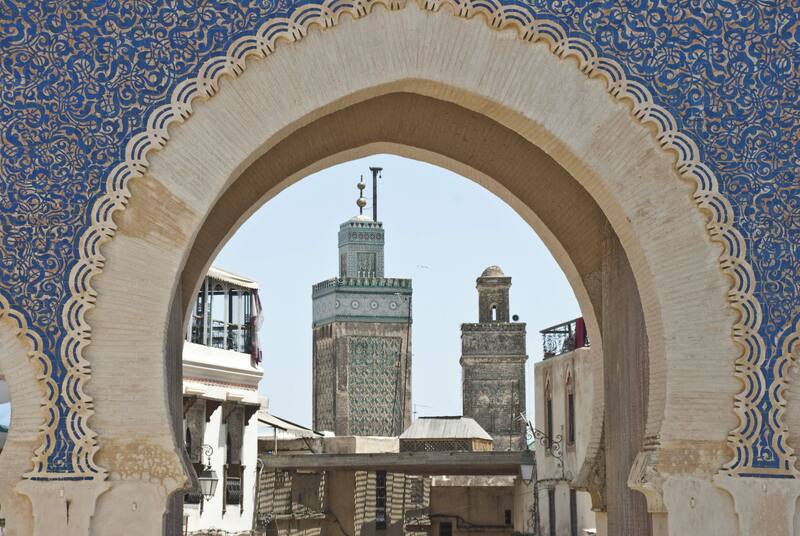 After a night of festivities, retire to your lovely accommodations at the beautifully restored Riad Fès, a Relais & Châteaux property in the center of the medina of Fès. 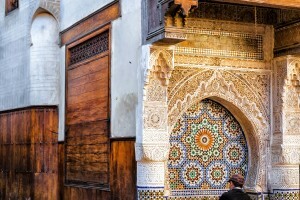 Following a short outing at the Bou Inania Medersa (Koranic University) and the Fondouk Nejjarine, fill your bags with goodies in Fès’ famous souks and tanneries. 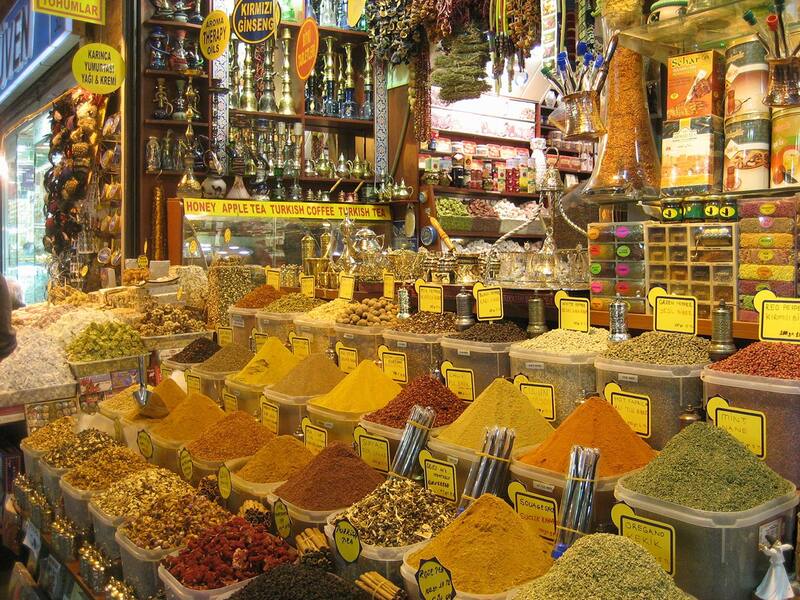 Guided by a Moroccan culinary expert, head deep into the souks until you reach the often overlooked honey souk to taste a myriad of exotically-infused honey from all over Morocco. 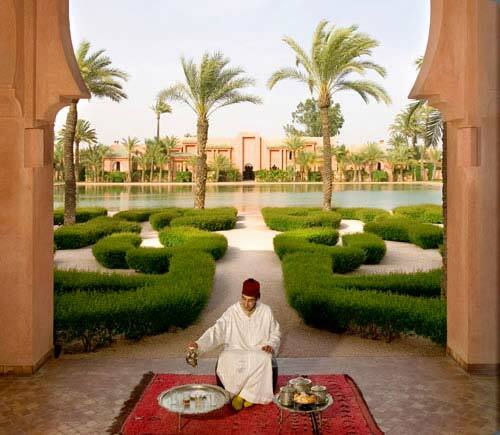 After a delightful lunch set in the beautiful gardens at Fès Café at Jardin des Biehn, continue to a small fondouk to learn how traditional Moroccan tom–tom drums are made. 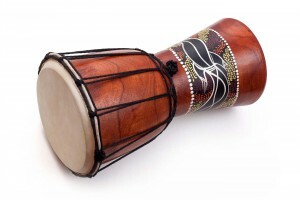 Pick your unfinished earthenware shell and your local leather of choice (camel or goat); then work the hide onto the drum and secure it just right to create that perfect drum’s voice. 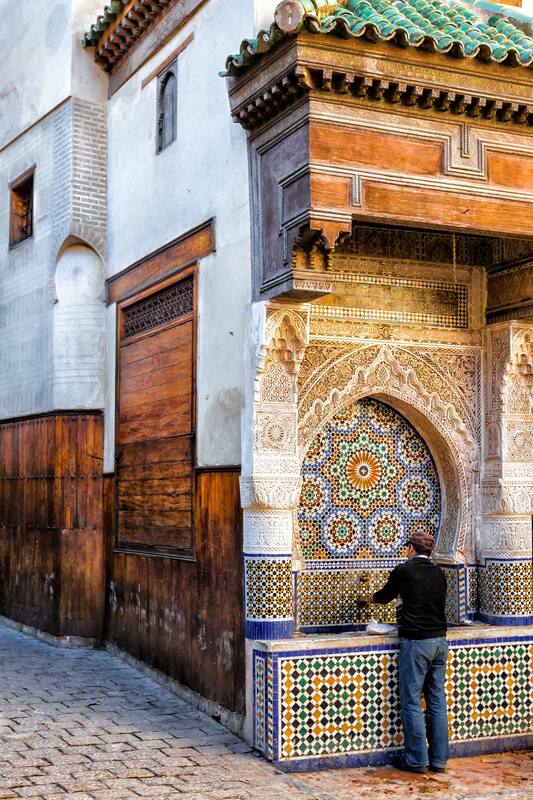 Head to a private family home in the medina for a complete immersion into Moroccan culture. 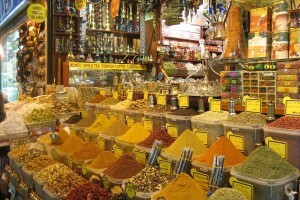 Learn to make a tagine the traditional way; then celebrate your success with your new friends. 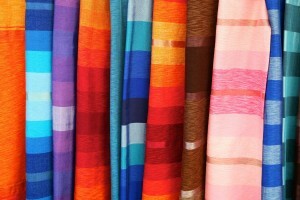 villagers carrying hand-made rugs or artisans hand-tooling crafts the way it has been done for centuries. For a memorable lunch, dine at Terrasse des Épices, an oasis of serenity with incredible views tucked away on a rooftop in the heart of the souks. Mingle with locals over a pot of freshly brewed mint tea. 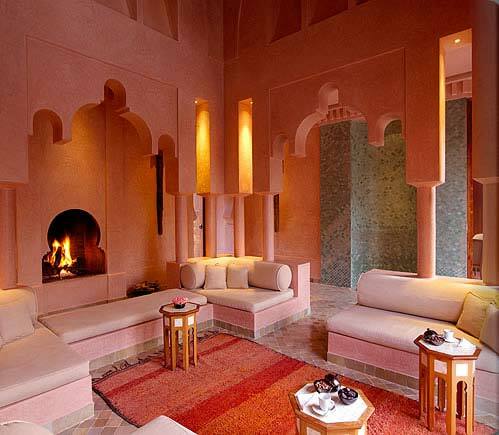 Retreat to your private villa at Amanjena, a lovely complex of gardens and pools hailed as “a world unto itself inside towering ocher walls….with rose-colored arches, columns and fountains” by the New York Times. Ask your butler for a sundown cocktail before taking a refreshing dip in your own private pool. At dusk, meet your horse and carriage for a ride along the rose red city walls. 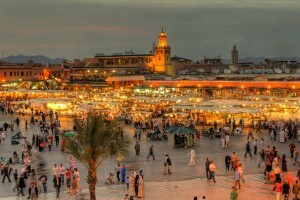 Discover the chaotic yet enchanting Djemaa el Fnaa, the greatest square in all of Africa – and perhaps the world. 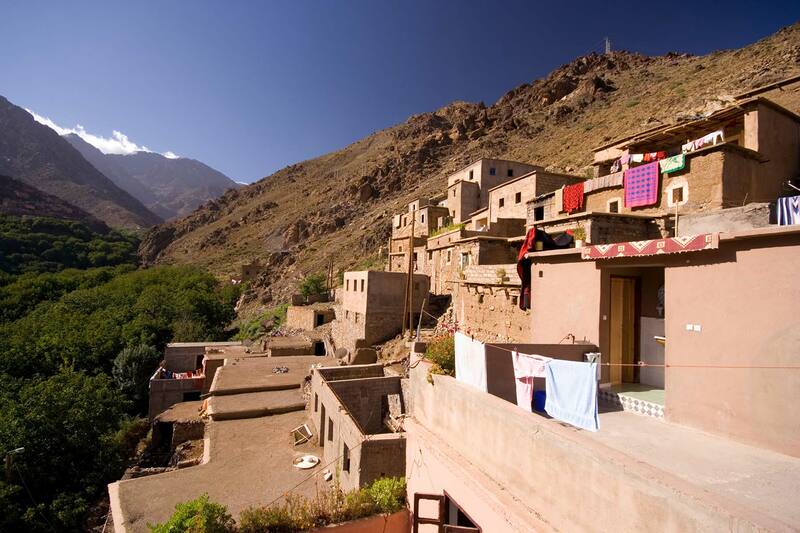 Enjoy the slow pace of life in the breathtaking High Atlas Mountains, often claimed as the most beautiful part of Morocco. 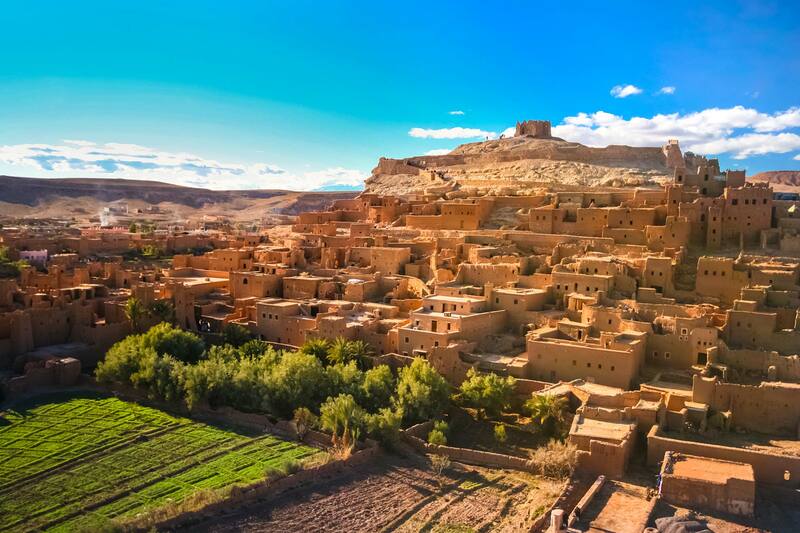 Notice the unparalleled splendor of the earthen Berber villages nestled against the fertile slopes; then enjoy a warm breakfast in the comfort of a Berber family home. 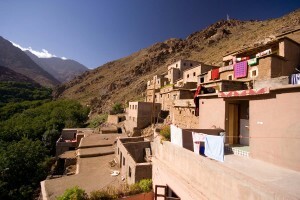 Continue on to Tahanoute for its weekly souk. 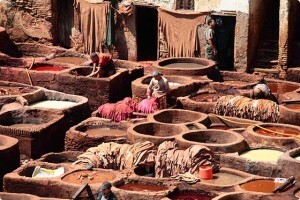 This market, which travels from village to village, is the mainstay of rural Morocco. 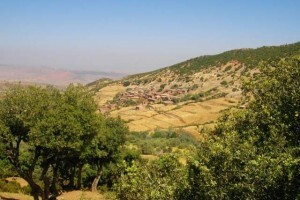 With almost no tourists around, enjoy an authentic Moroccan experience with local villagers. 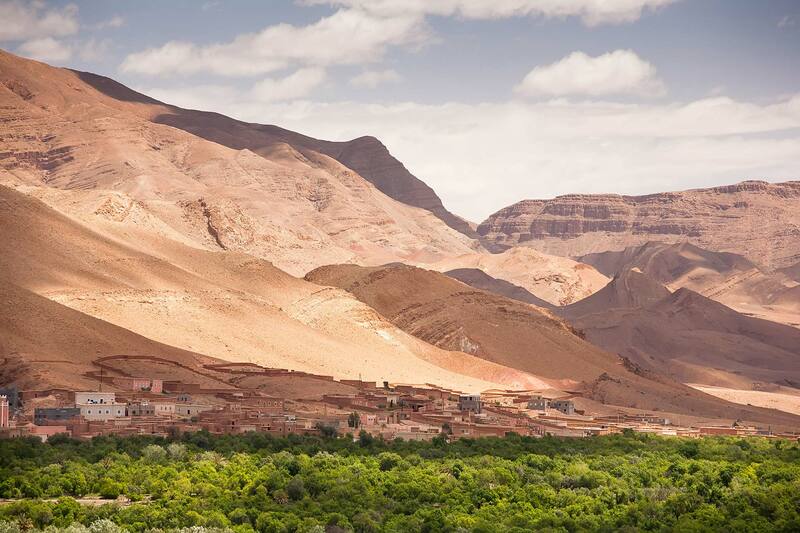 For a closer look at the High Atlas and its charming Berber villages, enjoy a two hour guided horseback trail ride. At the end of your ride, head to a grand picnic of fresh, local food in a glorious setting. Continue to the village of Aït Ourir to meet the local director (··) of an NGO under the patronage of Princess Laila Hasnaa. 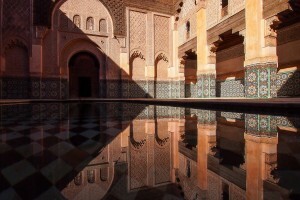 Learn about the projects dedicated to helping orphans from rural Morocco. 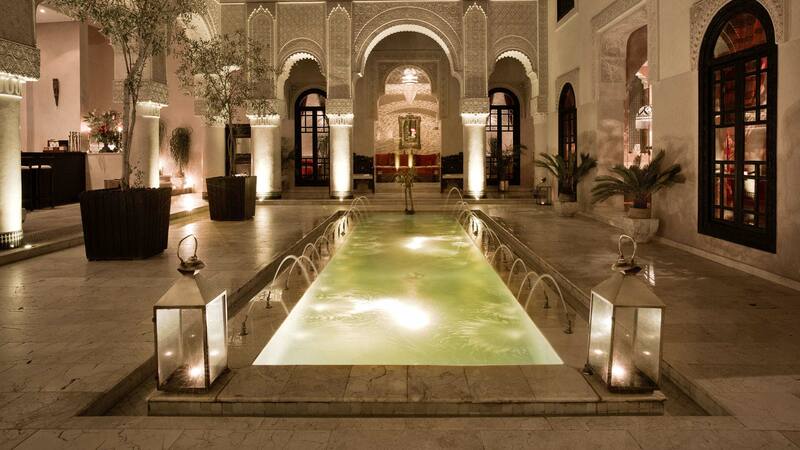 Return to Marrakech for an evening of rest in your luxurious villa. 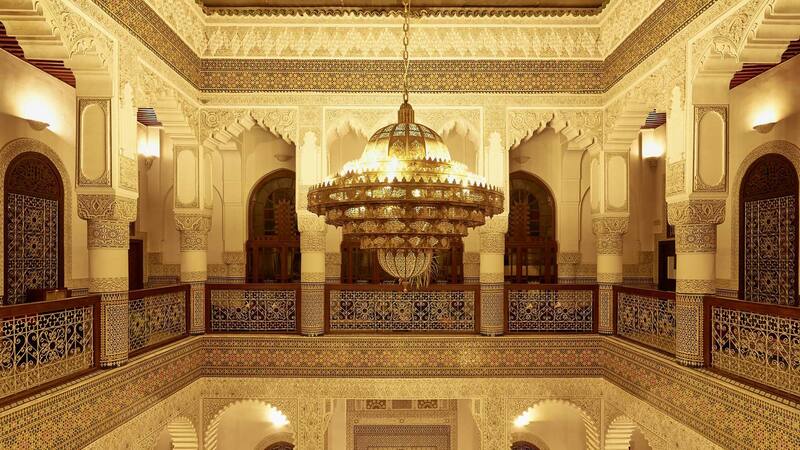 If in need of further excitement, optional diner will be served at Dar Moha Almadina where you can appreciate Chef Moha Fedal’s Moroccan Nouvelle cuisine in an idyllic Andalusian setting. 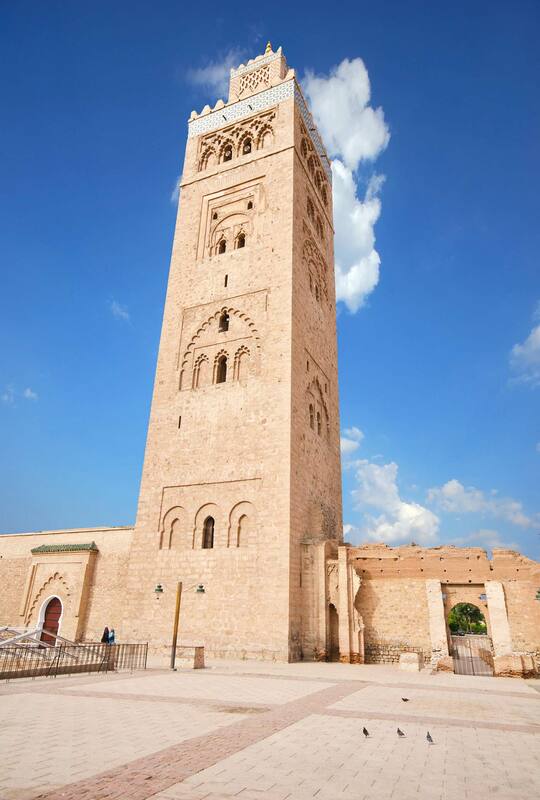 Visit the medieval Medersa ben Youssef, one of the finest Islamic monuments in North Africa; then admire the delicate dome of the 12th century Koubba. 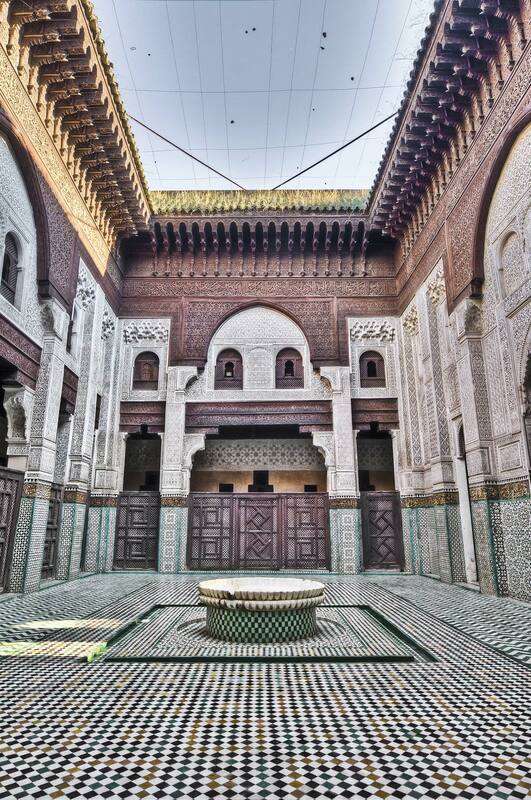 Continue with a tour of the Musée de Marrakech, which is housed in the sumptuous 19th century Mnebhi Palace, before proceeding to the tropical Majorelle Gardens, lovingly restored under the patronage of the late Yves St. Laurent. 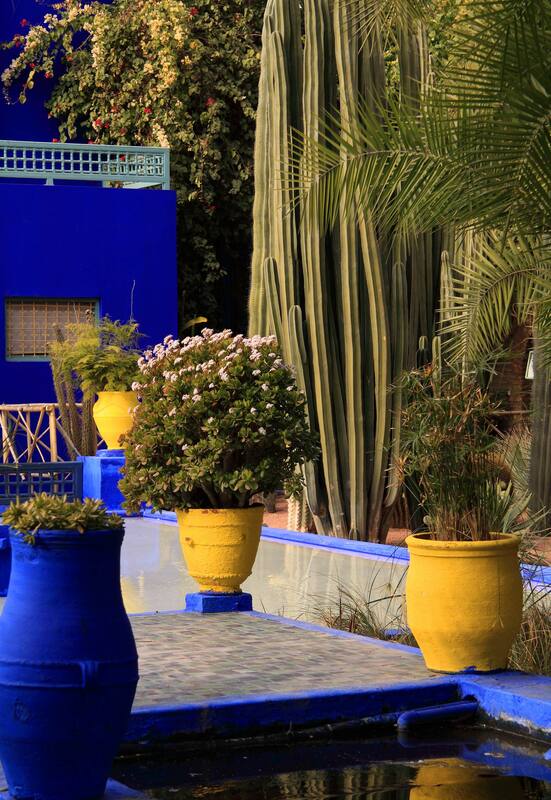 If time permits, visit the small, but excellent, Berber culture Museum located in the home of painter Jacques Majorelle. After lunch at Grand Café de la Poste, a bustling spot in the new town, meet the director (··) of a non-profit collective that runs an embroidery workshop and provides services for disabled women and girls. Spend the rest of the afternoon browsing through a privileged list of the finest boutiques and artisan shops in Morocco; then indulge on outstanding Franco-Marocain pâtisseries and chocolates. For a true Moroccan shopping experience like no other, meet a local tailor and design your own custom-made Kaftan. Embellish it with ribbons, buttons and adornments to suit your personal style and wait for it to arrive at your home when you get back. 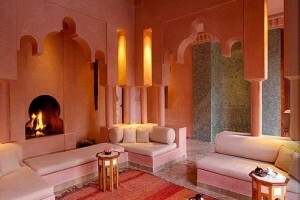 Spend an evening at leisure to enjoy your fine moroccan-fabrics-large accommodations. 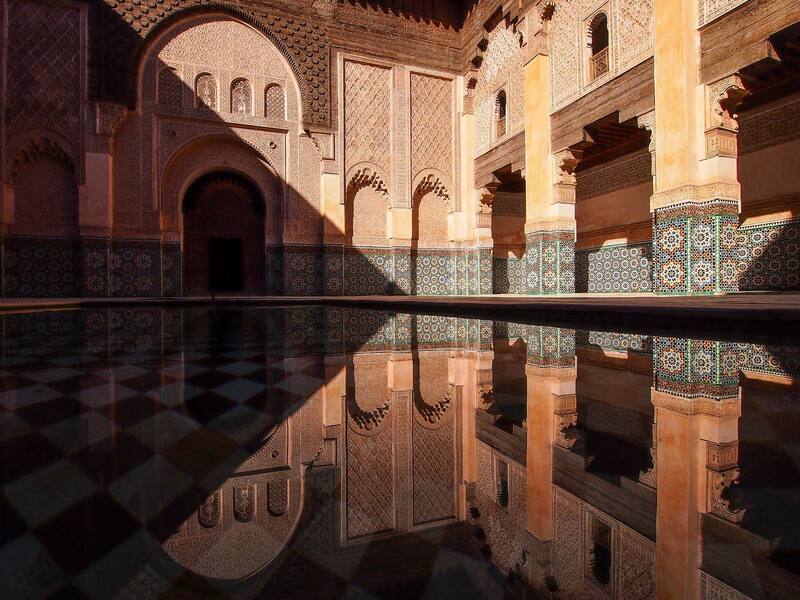 Read a book by the fireplace in the library; take an invigorating hammam followed by a deep tissue massage; or share stories with other travelers after a tennis match. 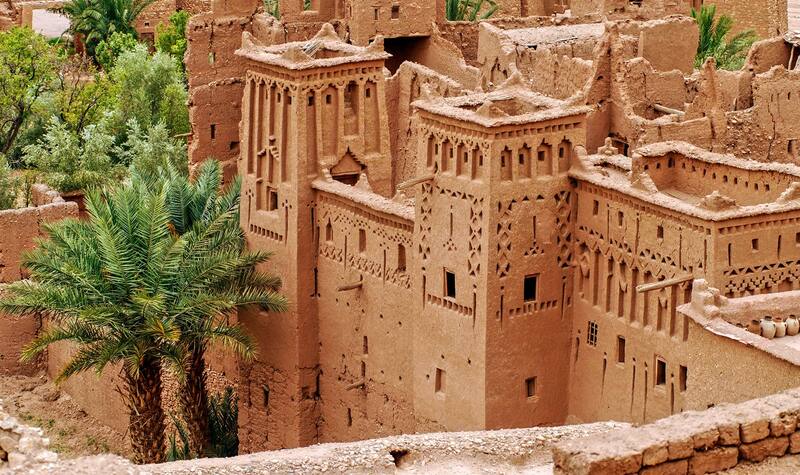 Your private jet will take you to Ouarzazate to explore the UNESCO-restored Kasbah of Aït Ben Haddou. 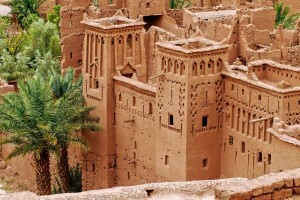 Film buffs may be surprised to learn that Ouarzazate was the setting for dozens of movies from David Lean’s Lawrence of Arabia to Bertolucci’s The Sheltering Sky. 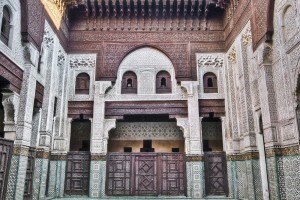 he hotel’s unique décor blending Moroccan, Italian, and Balinese influences. Enjoy lunch in the sprawling gardens of Dar Ahlam before taking a quick plunge into its inviting pool. 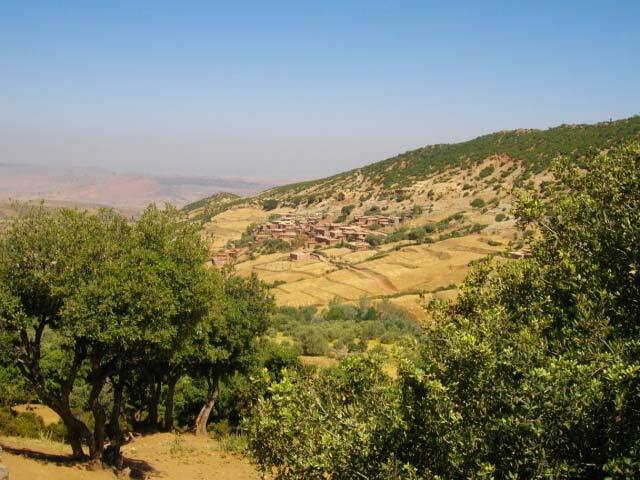 Once refreshed, head out by 4×4 to the Valley of the Almond Trees, where you will visit small rural villages and have mint tea in a family home. 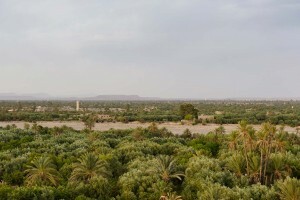 Return to Skoura for a walk in the oasis as you learn about traditional irrigation and agriculture practices. 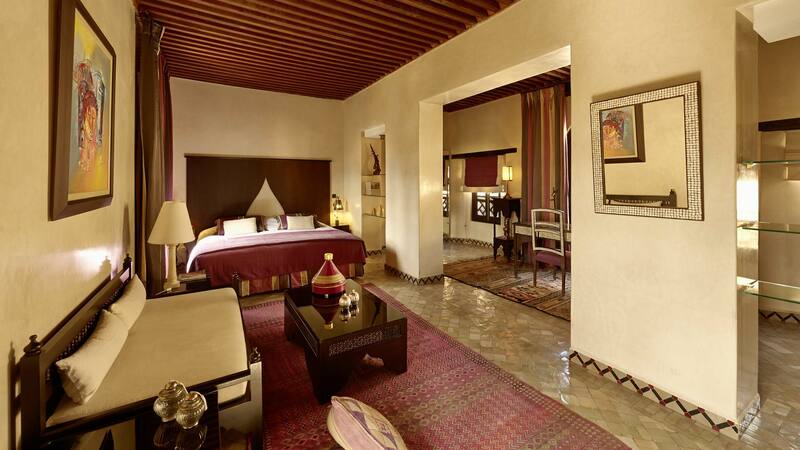 Don your new favorite Moroccan attire for an intimate dinner served in a private room at Dar Ahlam. 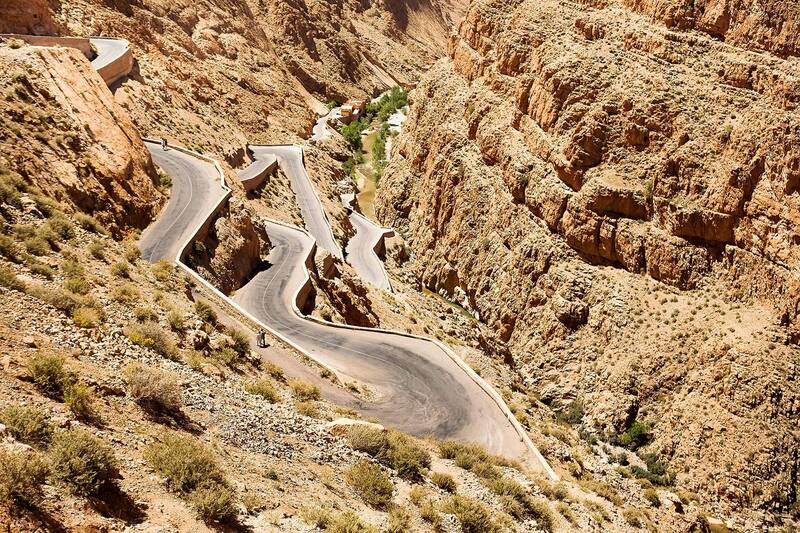 Start your day with a true Moroccan adventure. Hop on a camel for a thirty minute trek to a nearby oasis. 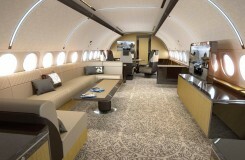 Pretend you are in your own caravan in the tradition of traders heading to Timbuktu. 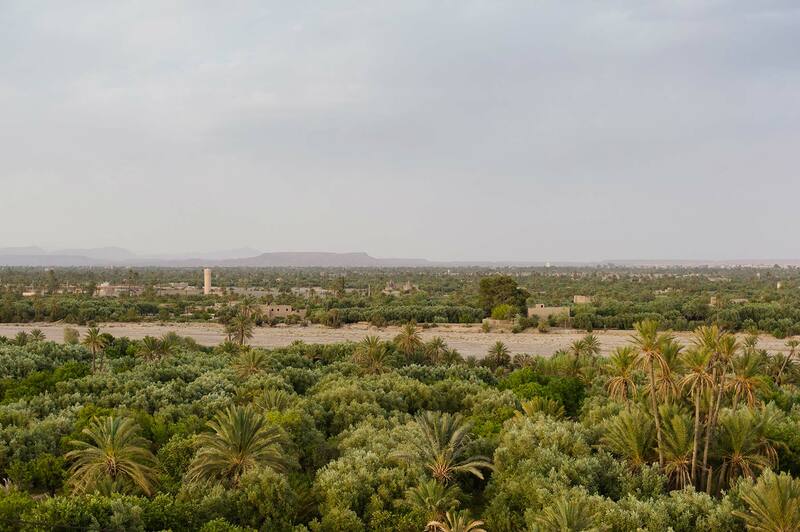 After a delightful lunch served in the shadow of the remains of a once prominent Kasbah, take a helicopter ride south toward Draa Valley – The Valley of One Thousand Kasbahs. 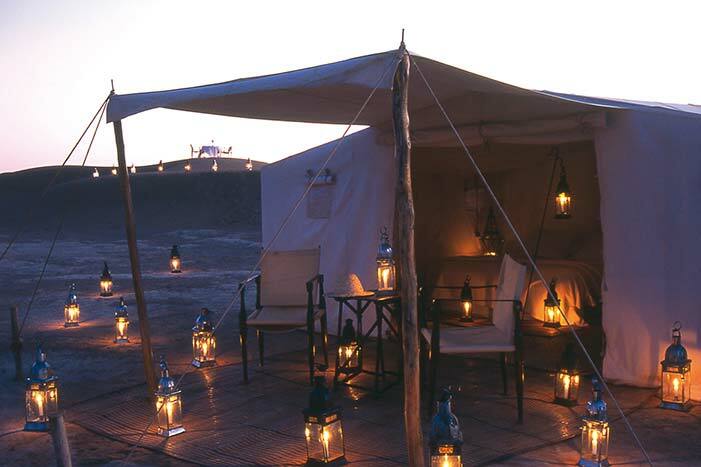 Be welcomed in the traditional manner of desert nomads with milk and dates upon arrival at Dar Ahlam’s luxurious, private encampment. 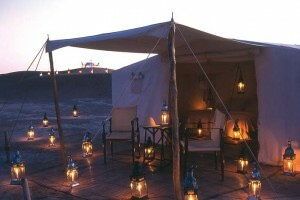 Enjoy a typical Berber dinner under the beautiful Saharan sky as you reminisce on traditional nomadic ways of life. Wake up early to watch the dazzling sun rising from the east. 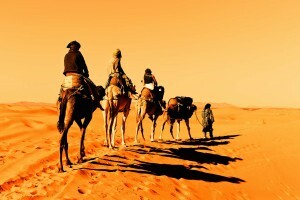 Feast on a light breakfast before climbing up nearby sand dunes to take that one last memorable Saharan picture. 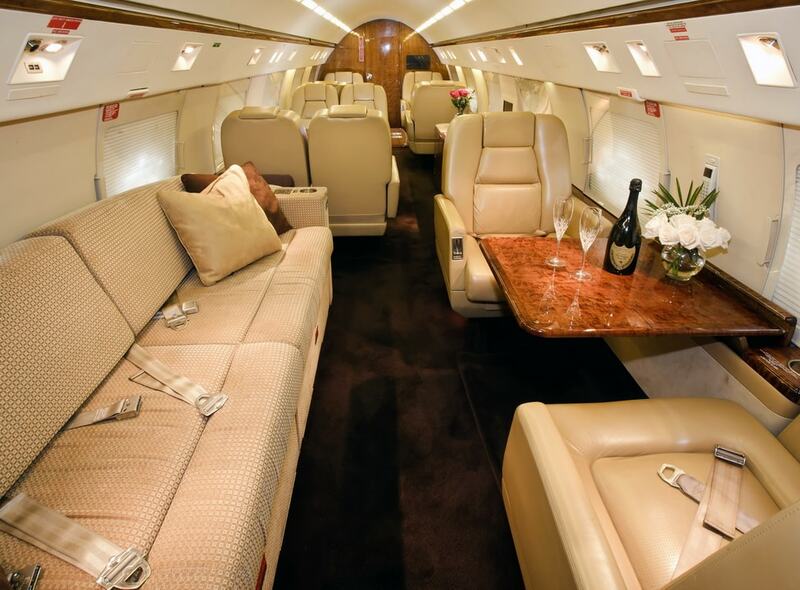 After a short transfer by helicopter towards Ouarzazate, leisurely board your Gulfstream G-IV for a safe and peaceful return home. 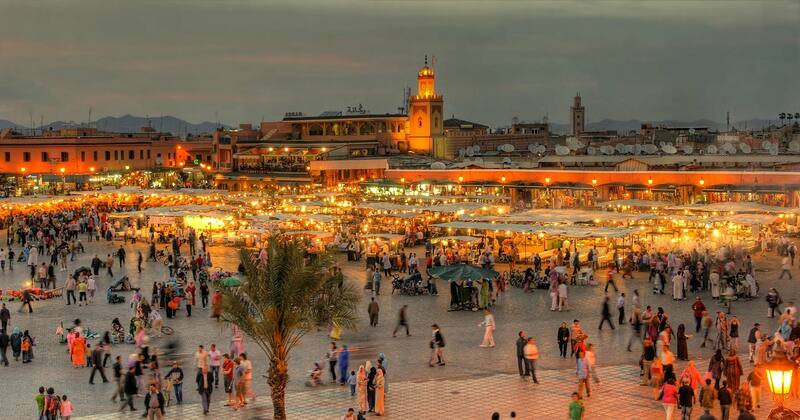 Remember all the beautiful historical sites and colorful markets encountered on this great Moroccan adventure as you gently fall asleep in the comfort of your luxurious seat. 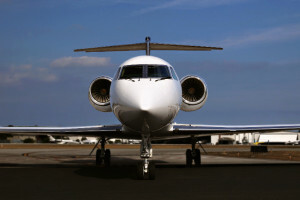 (··) Out of respect and privacy considerations, the specifics of these persons or locations will be shared with seriously interested parties only. 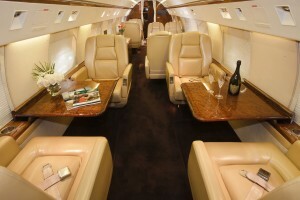 This is the aircraft of choice for groups up to 16-18 guests. 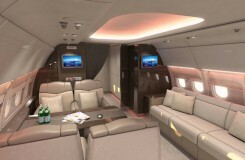 Prices begin at $53,300 per person for a group of 12 guests flying from the East Coast. 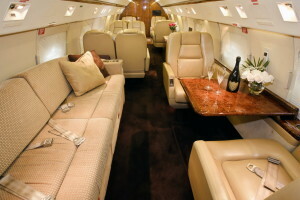 This aircraft is suited for groups larger than 18 guests. 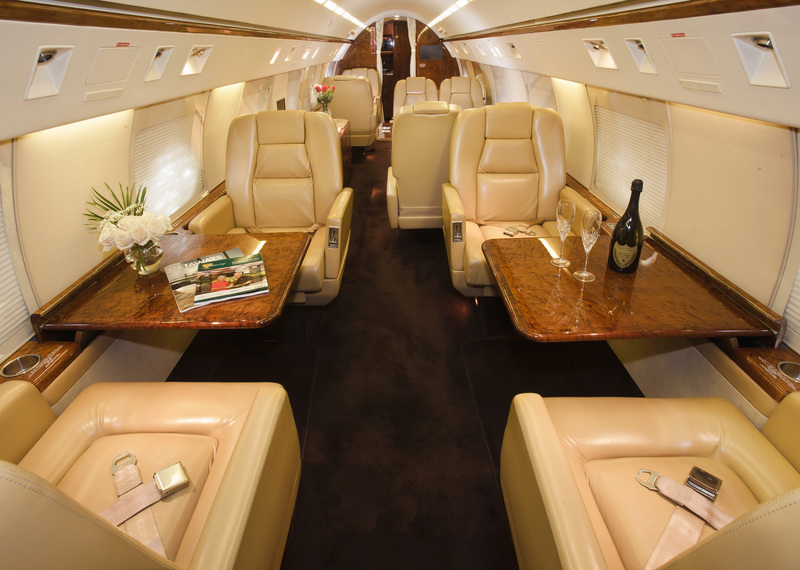 Prices begin at $64,600* per person for a group of 30 guests flying from the East Coast. 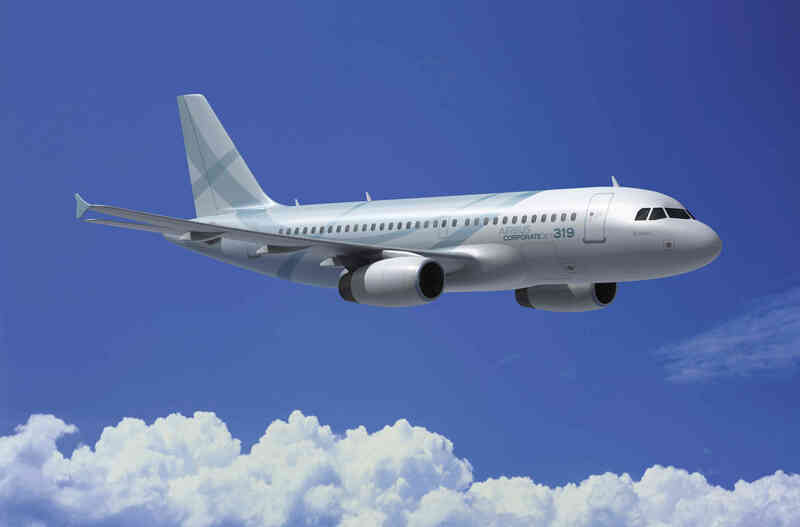 The airplane is never shared with travelers from different groups of guests.